Here's the deal, folks. As I said in a previous article, open source is a necessity when it comes to voting. I praised Bernie Sanders' campaign for questioning Microsoft's motives in providing the platform for the Iowa Caucuses. With that said, Microsoft was ultimately not the problem, closed source was. According to Fortune, who shed light on the below tweets, it seems conspiracy theorists are pointing to Microsoft's large donations to Senator Rubio as a motive for helping him. True, his performance was better than expected last night, but committing fraud in order to improve a candidate to third place doesn't seem like a very worthwhile risk. Open source would actually help Microsoft in this case, as the company could point suspicious citizens to the source code. Closed source not only has the potential to hurt voters, but it is preventing Microsoft from being transparent. In other words, Microsoft will never be able to shake these claims while source code is hidden from voters. 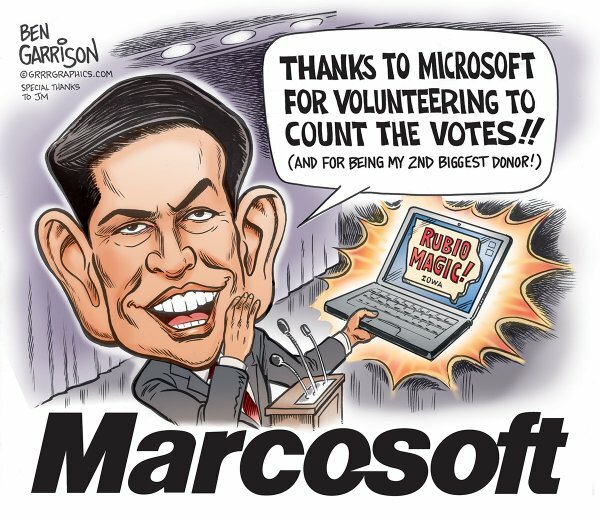 Do I think Microsoft committed fraud to help Marco Rubio? No. But my opinion -- and the opinion of others -- is inconsequential here. With the source code locked away, no one can really be sure. With that said, there is no definitive proof that any fraud occurred either. What do you think? Is the #MicrosoftRubioFraud movement nonsense, or a legit response to a large corporation controlling the voting platform? Tell me in the comments.